This Bride Dressed As The Little Mermaid Will Leave You Awestruck! We all dreamt of being a Disney princess when we were little, didn't we? But how far would you take your fondness for Moana, Elsa, Cinderella or Belle? Would you dress up like one of these Disney princesses for your big day? This bride did exactly that, and oh our word, we can't take our eyes off her. Calling all brides-to-be, get inspired by this bride's outfit, hairstyle and makeup this shaadi season! Dressed in a gorgeous white and aqua blue sharara for her mehendi, this bride looked every bit of a Disney princess, especially like Ariel from The Little Mermaid. No kidding! 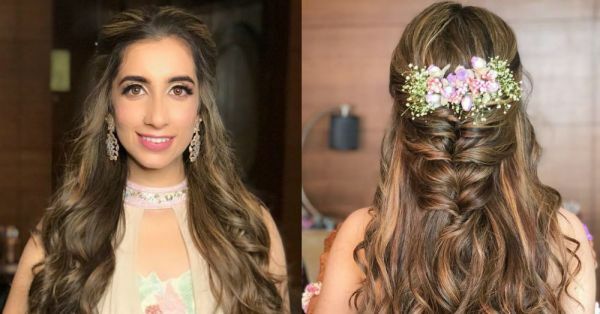 Styled by celebrity hairstylist Ritika Kadam, the bride wore her hair down in soft natural curls with a loose braid in the middle and adorned it with some fresh baby breaths! Let's now take a look at her eye makeup done by makeup artist Shraddha. 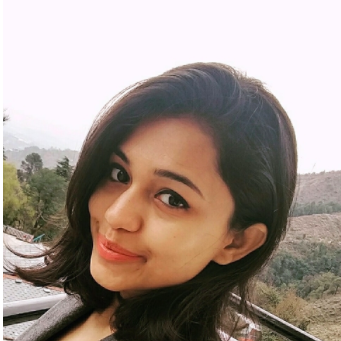 She couldn't have matched her eye makeup to her lehenga better! The perfect blend of shimmer on her eyes, keeping the rest of her look dewy and the result, as you can see, is stunning! The bride completed her Disney inspired look by teaming up her lehenga with floral kaleeras. Quite a look for your mehendi function! What say, ladies?! If you have a fave Disney character too, then it's time to recreate the look for your wedding.